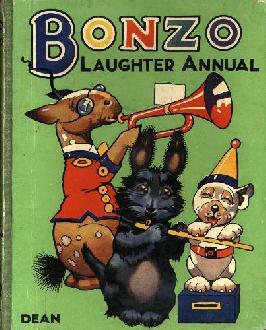 Bonzo's Laughter Annual - The first annual by Dean & Son was published in 1935. 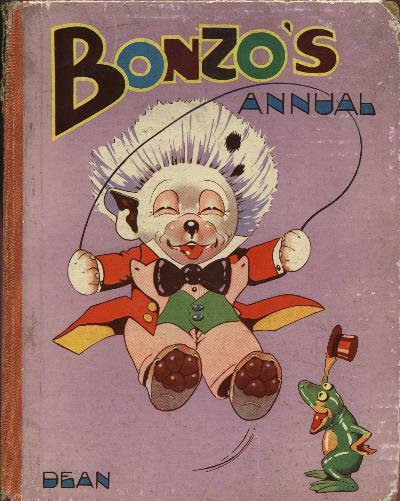 It had fourteen stories featuring Bonzo, plus many rhymes, strip cartoons, a couple of puzzles - all fully illustrated in black & white or two tone, and three colour plates. 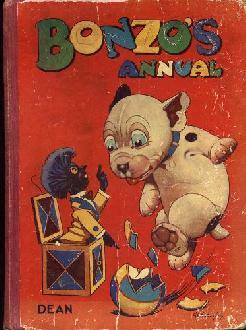 The cover was made from hard cardboard with the colour picture bonded to it, and the paper for the pages was of poorer quality than earlier books to keep the cost down. Some of the other annuals produced by Dean & Son. 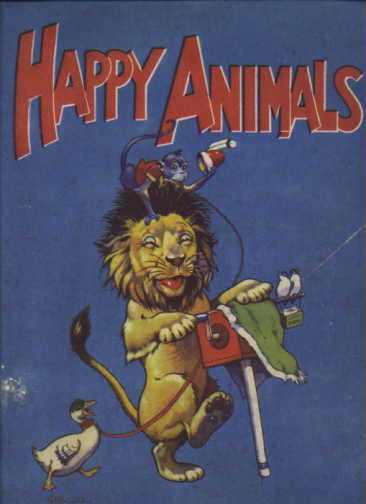 There were 10 in all, including the Laughter Annual, four published before the 2nd World War and the other six after - from 1947 onwards. 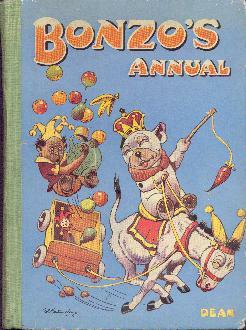 The pre-war annuals were larger editions compared with the post-war ones, and had one or more other colour plates within them as well as the usual colour frontispiece. 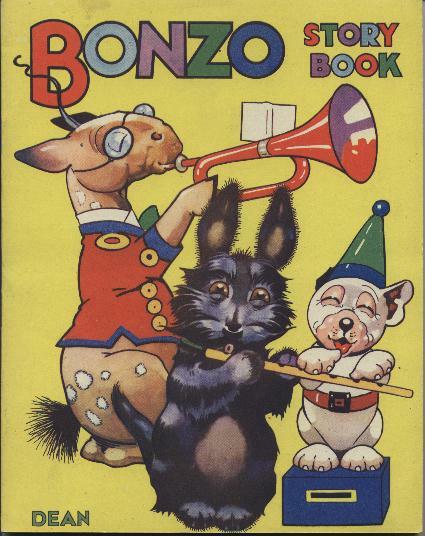 Although Studdy died in 1948, the books were so popular that Dean employed other less talented artists to draw Bonzo. The poorer quality of artwork certainly affected the sales, and they ceased in 1952. 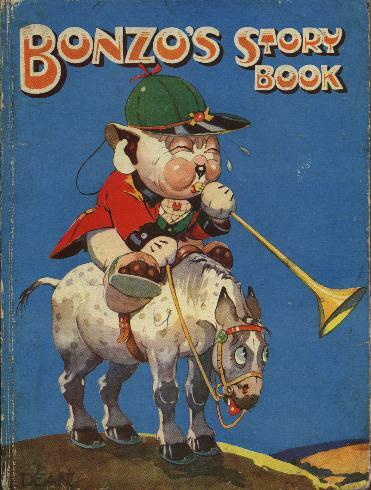 Also published by Dean & Son in 1941, this hard-cover book contained various stories and pictures taken from some of the previous annuals. 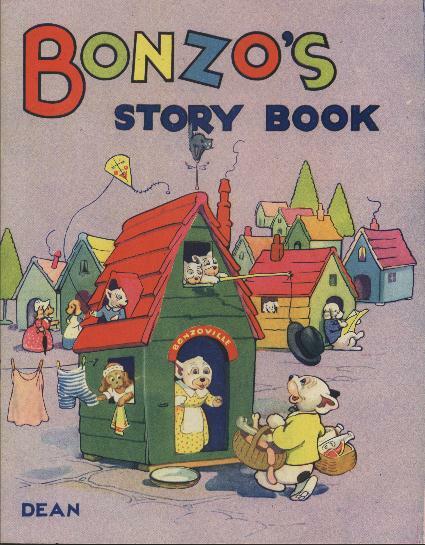 Another set titled 'Bonzo's Story Book' was also brought out during the war years, and again reusing previous stories. The first of these had a hard-cover, but the other two were 'soft backs' with fewer pages. 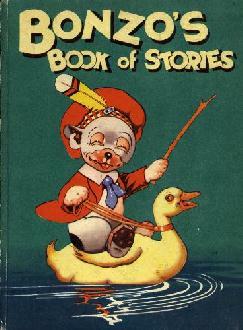 These 'soft back' books were published by Birn Brothers, but the dates are unknown. 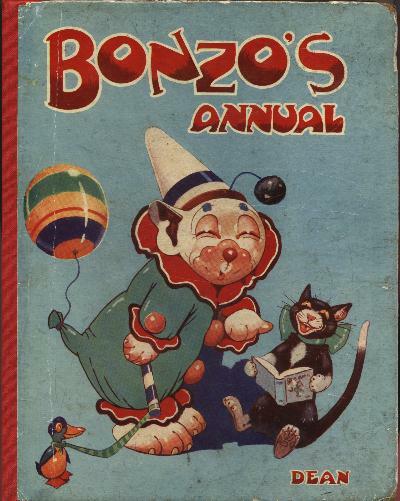 Though definitely by Studdy, not all of the pictures are signed, and only some feature Bonzo. 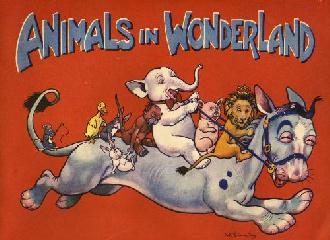 Each picture had a short rhyme printed on them, and the colours are vivid and bright! 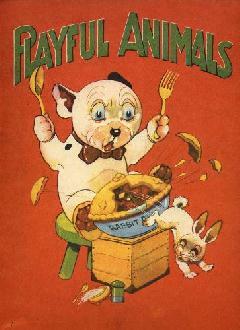 Another oddity, published by Bendix Publishing Co., Ltd. but again undated. This edition is simply printed on paper like a modern day comic, so is a highly pershiable item! 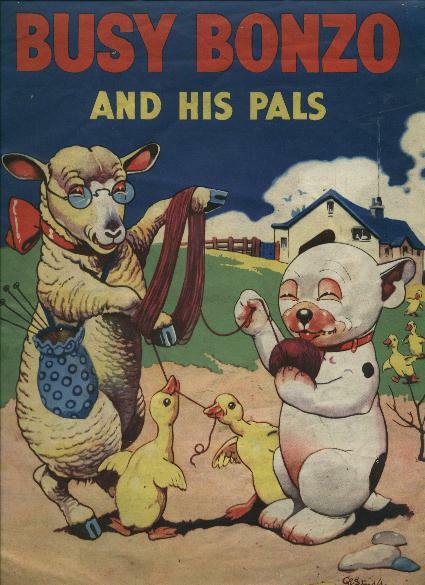 As with the Birn Bros. editions, it contains brightly coloured pictures with short rhymes printed on them.